But wait, there's more! 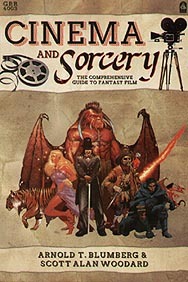 After the fifty featured films, there are shorter write-ups of over 400 more fantasy movies, from the classic to the obscure. So turn up your Krull soundtrack, slip into your Labyrinth T-shirt, and brush up on your The Princess Bride quotes - this is Cinema and Sorcery: The Comprehensive Guide to Fantasy Film.